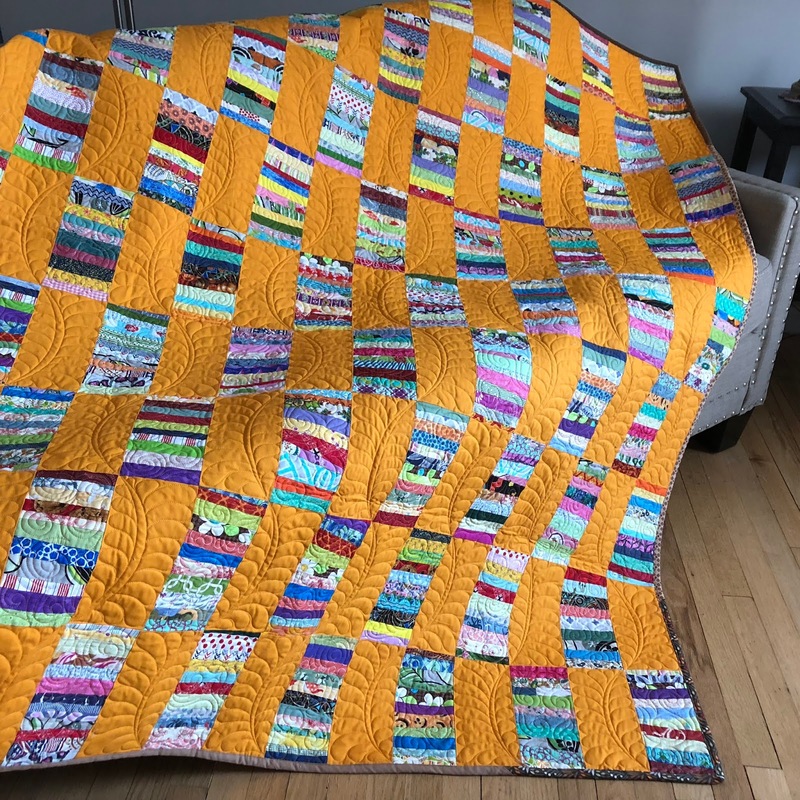 My husband calls this color "orange" but quilters call it CHEDDAR! I dove into my string bin as I was recovering from medical treatment earlier this month and I haven't sewn my way out yet! I got the idea for this quilt from the Mod Quilt pattern in Victoria Findlay Wolfe's 15 Minutes of Play. I used strings instead of crumbs and I made the blocks a different size, but that pattern was my inspiration. I have more string quilts in process, so stay tuned! Have you made a string quilt yet?